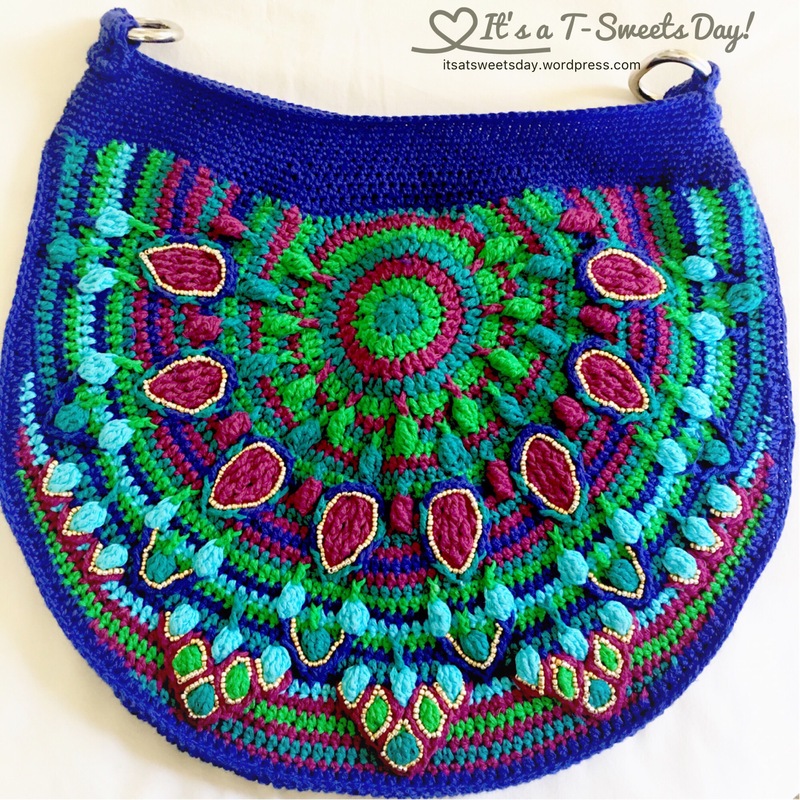 Sweet Haus CAL#3 – The Sunday Shawl – It's a T-Sweets day! Published on January 9, 2017 January 9, 2017 by Tracy @ It's a T-Sweets Day! I am excited to be starting my third crochet along with Margareta from At Margareta’s Haus. Why don’t you join us? 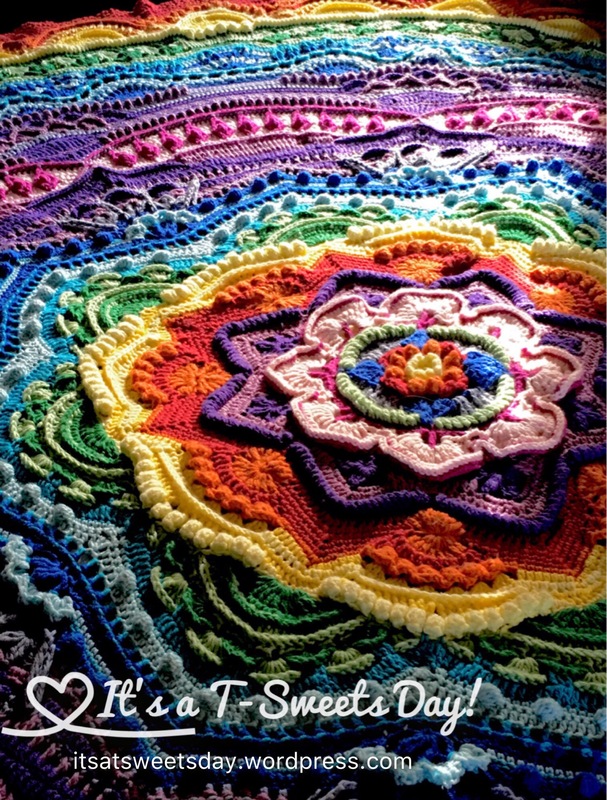 Last year we each made a Mandala Madness along with Helen at crystals and crochet. It turned out so pretty! We then continued the fun by joining in on the Peacock Bag CAL by Lilly Bjorn Crochet. This bag get compliments every time I go to the store! And now, we are going to make The Sunday Shawl by Little Bee along with the Facebook group, Pippen Crochet. The pattern is on Ravelry.com. Isn’t it beautiful? I have purchased my yarn and am ready to go. I am using super wash merino wool. Ooh, I am just in love with these luscious colors!! The main color is going to be the beautiful burnt orange/rust and the edging will be the other lovely colors. I must give a word of warning about online purchases though. 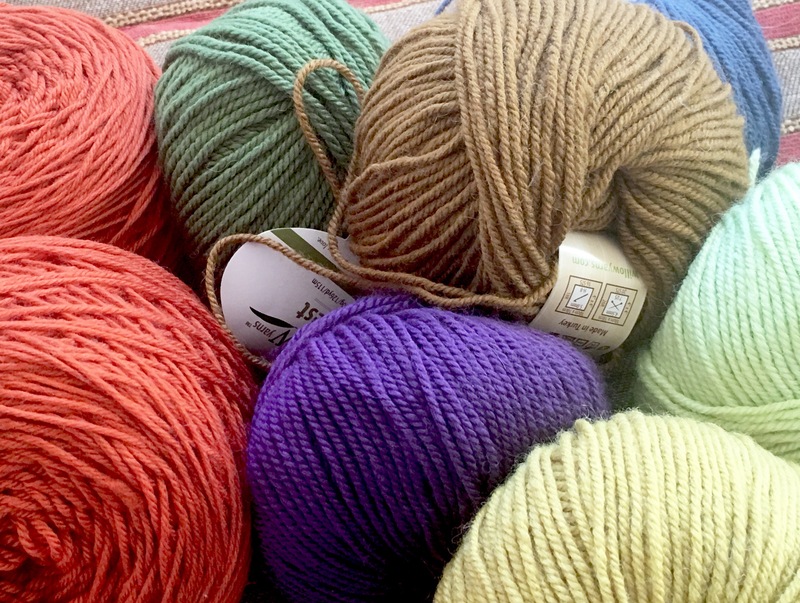 I ordered the orange from the same company, BUT when my happy box full of yarn arrived, I opened it only to find that the rusty orange color pictured online was really a barn yard red. Ugh! So, I went to a local store and spent quite a bit more on the orange yarn in the picture. I love it though, and they wound it into these SWEET cakes for me. I am excited to get started on this shawl. If you are interested in joining us, we are going to start on February 6th. That is several weeks away so you will have time to gather your supplies:). I hope to be crocheting along with you soon! Next It’s a Splendid Day Again! Now that shawl is tempting! I d like it a lot. I’ll probably content myself with watching you make it, because I don’t need another project, but it is really pretty! I love your shawl ny little bee!! Great job Tracy. You are so sweet Gena! I wish I could take credit for that fantastic shawl, but it is a picture of the shawl I am going to be starting on Feb. 6th. If you like to crochet, it would be fun to have you join in:)! I hope you join us! It is so fun to see how the same project looks different with other people’s color choices:). As far as red goes, I’m sure that a red project will be in my future! I love the shawl! My daughter’s friend is an avid crocheter and is always working on something! I will pass the idea along! 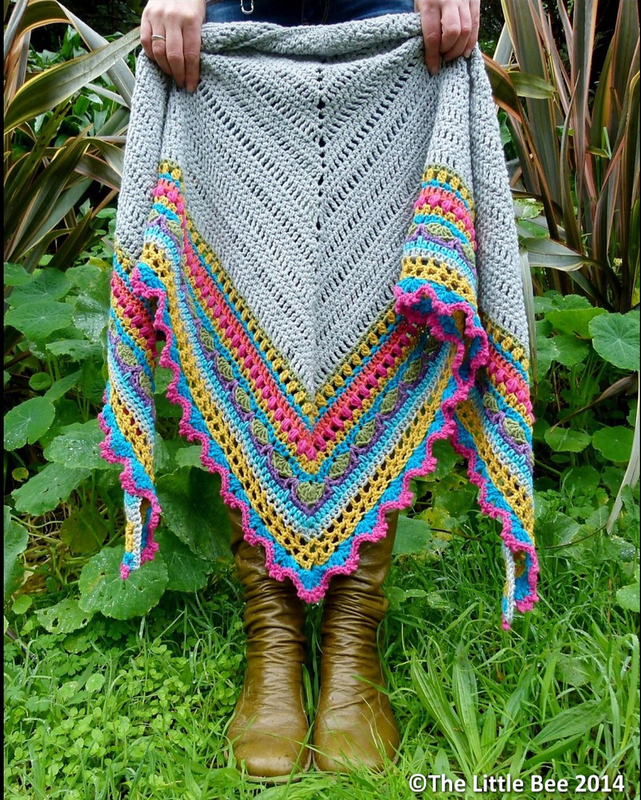 That is one gorgeous shawl!!! Your colors are definitely MINE, too!!! Your previous projects are so colorful and yummy!!! This current one reminds me of sherbets. I’m excited to see how it turns out:). I’m glad you like the color palette. I’m thinking of making a teal dress to wear on Sundays with this gorgeous scarf….. Absolutely!!! It’s interesting to hear how garment sewing is making a come-back!! !